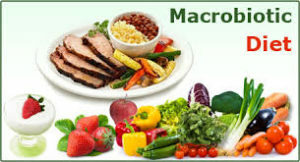 Macrobiotic diet: Macrobiotic is a Greek word that combines two words- macro, which means great and bios, which means life. Macrobiotic literally means the ‘passageway to a long and healthy life’. The macrobiotic diet has its roots back in the Japanese food traditions. It was developed and popularized by a Japanese philosopher named George Ohsawa. The core concept of this diet revolves around the Chinese philosophy of balancing ‘yin and yang’ and involves making certain changes in eating habits, lifestyle, and meal options, in order to remain fit and healthy. The macrobiotic eating approaches have long encouraged people to eat natural, whole foods that not only support the health of their bodies, but also the ecosystem and natural order of life. Major principles of macrobiotic diets are to reduce animal product, eat locally grown foods that are in season, and consume meals in moderation. This diet is more about achieving a balance in your life and not just in your diet. It promises a healthier and more holistic long-term lifestyle to its followers. This diet has no age restrictions and can be followed by all kinds of people, irrespective of their age. This diet has various benefits including a better immune system, weight loss, prevention of degenerative diseases, prevention of heart related problems, increased fitness levels and a prolonged life span. Macrobiotic diet is a restrictive diet. 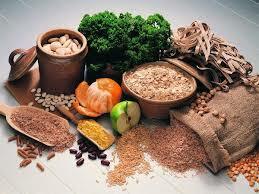 Whole grains: 40 to 60% of your diet should be organic grains. They should include grains such as oats, brown rice, millet, corn, and buckwheat. 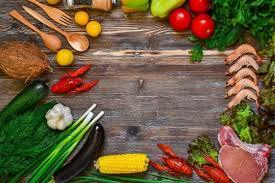 Vegetables: 20% to 30% of your diet should consist of vegetables. You can have broccoli, cauliflower, green cabbage, carrots etc. Choose locally grown and in-season vegetables. Veggies such as potatoes, eggplant, spinach, tomato should be cut down on. Beans and sea vegetables: Beans should be about 5% to 10% of your diet. Chickpeas, lentils can be had. You can have sea veggies such as noru and agar-agar. You can have seafood while on macrobiotic diet but make sure that it is only occasionally and the seafood that you choose is freshly caught. You can have about 1 to 2 two cups of nuts every week. Nuts like chestnuts, almonds, walnuts, peanuts, and pecans are regarded as the best. Fruits: Macrobiotics tend to eat fruit only few times a week. Make sure that the fruits you choose are organic, locally grown and in-season. You're not allowed to eat dairy products, eggs and poultry, other meats, processed foods as well as refined sugars, tropical fruits, any fruit juice, chocolate and some vegetables such as tomatoes, eggplant, spinach, and zucchini. You can only drink when you feel thirsty. Also, spicy stuff is a complete no-no. Alcoholic beverages, soda, coffee, and anything that is highly refined, processed, or chemically preserved is also not allowed when following this diet. Methods used for cooking: The favored methods are lightly steaming, boiling, pressure cooking, stewing, pickling, or quick sautéing with unrefined, cold-pressed oil. However, on occasion, macrobiotics may broil, bake, dry roast, pan fry, deep-fry, juice, or eat food raw. Some devotees also avoid cooking methods that involve electricity. Instead they use pots, pans, and utensils made from naturally occurring materials. Also, if you follow the macrobiotic diet, you will only be eating two or three times a day. No snacks in between meals either. Another rule is to stop eating food before you are full, even if your plate may still contain food. Chewing of food: Chewing of food is an important ritual of the macrobiotic diet. Each bite of food should be chewed at least 50 times ( lets be realistic and I suggest 17 times). The supporters of this diet are strong believers that if you chew your food until it turns to liquid form, it will be easier for your body to digest it. Being grateful for food is another practice that followers of macrobiotic diet follow. Pausing to express gratitude towards food before eating it is a habit followed by macrobiotics. The level of effort required for this diet is high. The macrobiotic diet requires steady effort. Although it may not seem so at first but it is actually flexible. Depending on how you prefer it, you can begin slowly, move gradually from one level of intensity to the next. Exercise: Regular exercise should be done. Vegetarians and vegans: The classic macrobiotic diet is pescatarian (meaning it allows you to eat fish) as well as being low-salt and low-fat, but you can easily modify it to make it vegetarian or vegan. You need to make sure that all your nutritional needs are met, including vitamin B12, iron, zinc, vitamin D, and omega-3 fatty acids. Gluten-free: Although the macrobiotic diet doesn't prohibit gluten, you may be able to adapt it to work for a gluten-free diet. If you’re looking to adapt to a diet plan that is healthy, the macrobiotic diet is definitely a good choice. It’s opulent in nutrient-packed foods that are at the same time low in calories. While there’s no complete proof as such, but medical research has always been in favour of diets that are mostly vegetables, fruits, and whole grains may lower the risk of several diseases, including heart disease and cancer. Anyway, you’ll reap plenty of health benefits with this diet. If weight loss is on your checklist too, the macrobiotic diet is likely to help you with that too. A diet that is plentiful in vegetables and fish is a great option if you have diabetes, high cholesterol, high blood pressure, or any heart disease. It helps in lowering cholesterol, and any diet that helps in shedding the pounds is good for all these conditions. Because the diet limits the intake of sugary and fatty foods, it’s also good for people with diabetes. Any diet that increases vegetables, decreases sugar and fat, and includes a lean source of protein like fish is good for you in many ways. But it will take time for most people to adjust to this new eating lifestyle and philosophy. The first 10 days are the hardest. If you can stick with it and eat a variety of nutrient-rich foods, you’ll be on your way to better health. Make sure that you include non-dairy foods fortified with calcium and vitamin D, such as soy and almond milk, because the diet eliminates dairy.